“One thing is very clear in my mind. That is that if we are to build a truly shared society – and the principle seems hard to object to whatever your political views – we cannot do so without volunteering. NSVO recognises that volunteers are “essential for a better society”, and I believe that volunteers are essential for a better Digbeth. 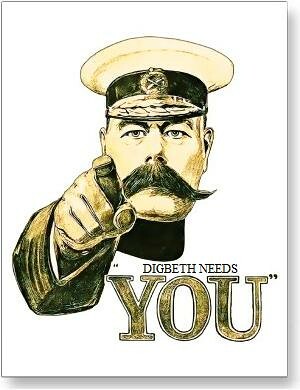 If you are able to give us just one or two hours of your time a month, DRA and indeed Digbeth would be really grateful. Please do get in touch by email to digbethisgood@gmail.com now. Previous story Have You Heard Of Immobilise?